The Tech men’s golf team is off to a winning start to their season. The Jackets were victorious in both of their first two tournament, never trailing after any individual round. In their most recent tournament, the Brickyard Collegiate, Tech led after the first round but ended up being edged by Mercer by just two strokes to take second, despite having two players finish in the top five. Junior Ollie Schniederjans ended up tied for fourth, and senior Seth Reeves claimed a share of the individual title with a 9-under-par performance for the tournament. The Jackets are currently ranked second nationally behind Alabama, the same team to which Tech finished as the runner-up on their national semifinal battle a season ago. Seth Reeves, one of the current seniors on the team, reflects on close finish a year ago and what he and his teammates can do to continue the play of that national championship run and this season’s hot start. 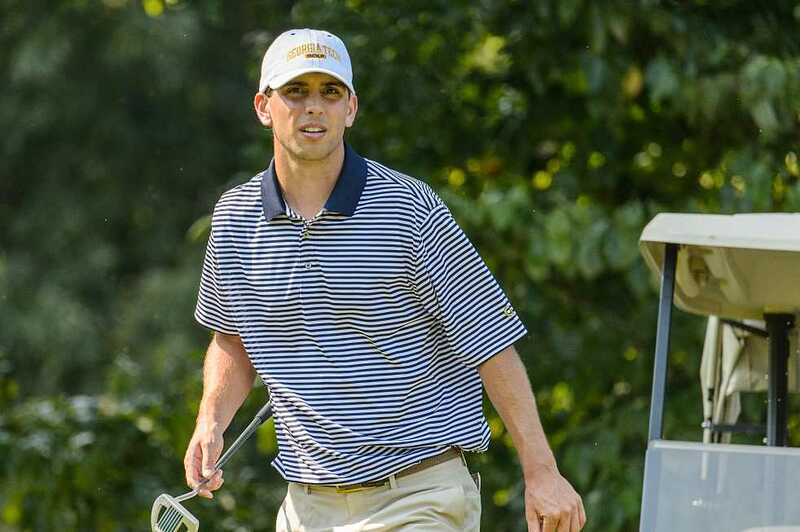 Reeves believes their performance in the national championship tournament last year has had a direct effect on the team’s play this year, and as a result they have acquired golf’s most valuable asset: confidence. “We believe in ourselves to win every tournament we play in. Physically we had the tools, now we have the confidence,” Reeves said. Talking about differences between the current team and last year’s, Reeves says that the main difference is the experience level. The core of the team consists of three seniors and two juniors, and according to Reeves, the Jackets consider themselves a veteran team. Another key aspect is team camaraderie—intangible and sometimes overlooked, but Reeves knows that those closely knit bonds are essential to the team’s success. In collegiate golf, teams are composed of five players who each play three rounds of 18 holes. The top four scores are selected from the team to give the team an aggregate score for each round which will determine the winner. Reeves says that on many courses, the leaderboards aren’t readily accessible, which means individual players spend a lot of time unsure about the team’s overall standing until the end of the round. That’s where the trust and camaraderie come in. Asked if the pressure from being ranked so highly affects the team at all, Reeves claimed that it was actually less stressful. Reeves shares that the team has a mantra that they hold to for every match: never get discouraged. Of course the team also seeks successful results as well, and so far, those excellent results speak for themselves. As for Seth, he plans to play his last amateur competition before he turns pro in the US Amateur Championship, which will be held in Atlanta next August. The secret to Tech’s success is not actually a secret at all. It is merely that they fully believe in each other, and that belief is strong enough to overcome any adversity that the team may face. With their sights firmly fixed on the ACC and national championship this year, the teammates are not likely to get discouraged along the way because each player knows that he is fighting, not only for himself, bur for something much greater.